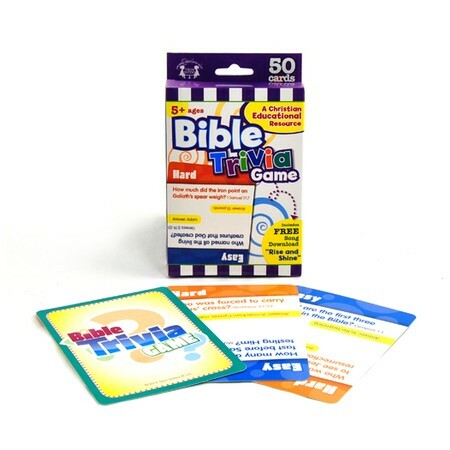 Fun for the whole family, now Bible beginners and Bible scholars can test their knowledge with the Bible Trivia Game! Features 50 cards with 2 levels (easy and hard), 1-6 players can test their understanding of the Bible, whether they are a beginning learner or an advanced one. Excellent for use at home, in church, Sunday School, and more! Recommended for ages 5+.